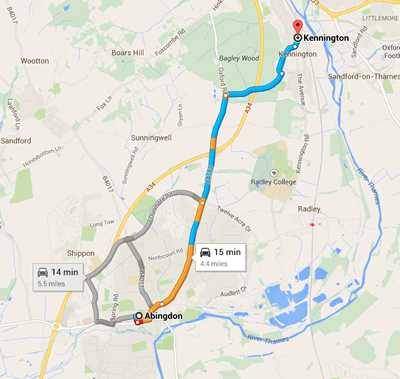 Our Oxford based osteopathy practice is easily located from both the Oxford and Abingdon direction. 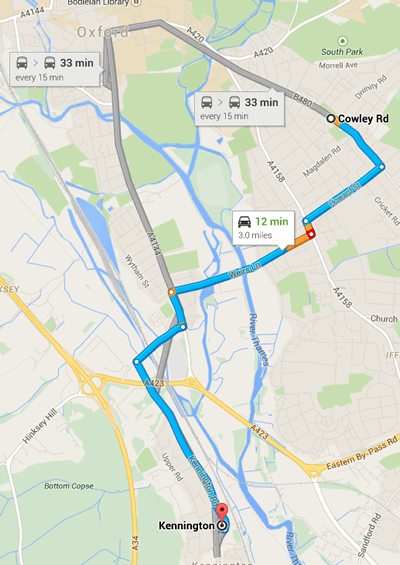 You can find several different routes from the local area to our practice, alternatively, don’t hesitate to call and ask for help finding us 07787 404419. We have a free car park to the side of the practice next to the park, which deceptively appears to look like Kennington Health Centre’s car park. It is actually a village car park, so please feel free to use it. There is also plenty of parking opposite the practice in The Tandem pub which is also fine to use. 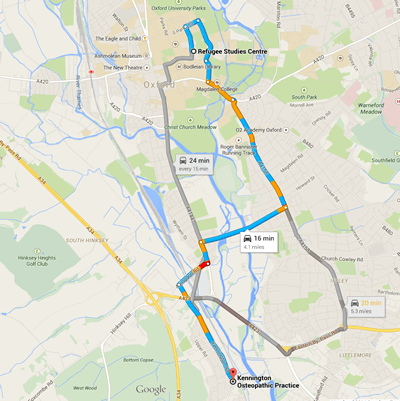 From Oxford City Centre, Botley, Osney and north Oxford. From Abingdon and South Oxfordshire. The practice is situated on your right within The Village Centre. From Cowley, Rosehill, Blackbird Ley, Greater Leys, Watlington, Headington, Risinghurst, Barton.